We spend so much time trying to make people see the world through our own eyes that we forget sometimes that we all have a different view on reality. In fact, who is right or wrong doesn’t really matter! In fact, most people argue for small details and no real reasons. Everybody’s brain processes information differently using their senses and one’s reality is totally different than someone else’s. Knowing that we are all different and that in our own head, we are always right, makes us realize that all there is to be defended is our own ego. The truth doesn’t need to be defended. Communication involves at least two people, which implies two different perspectives on the subject being discussed. You don’t have to agree with the other person’s point of view or even like it. This fact is key to make any form of communication easier. 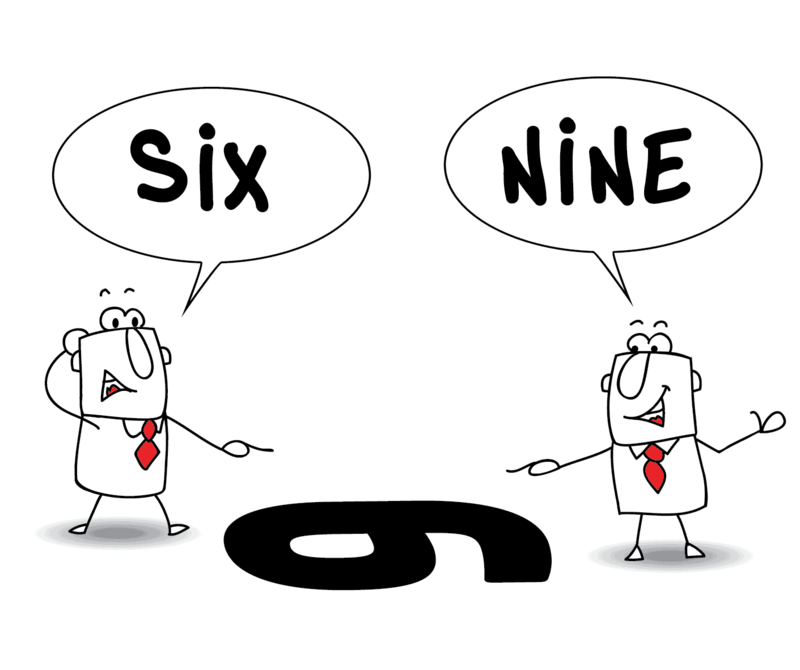 We get into long extensive debates attempting to convince someone we are right.When communicating with someone, it is the differences in opinions and points of view that cause disagreement. We often get into an endless back-and-forth exchange of contradictory ideas that ends up with either a “Let’s agree to disagree”, or a “Whatever!! !” —secretly thinking inside ourselves that the other person is being such a stubborn jerk and that we should try to stay away from them in the future. In most cases, it is perceived that people are defending their opinion. Whether they are right or not doesn’t matter, the truth doesn’t need to be defended. However, what they are really defending is their own ego. We are human. The reality is that we don’t necessarily need to be right. We need to be heard. We need to feel that we are okay to be thinking a certain way. We need to feel that the other person ‘gets us’. We need to know that we were perfectly normal for thinking a certain way, even if along the way, we changed our mind. We are actually very open to changing our opinion when we feel that the other person understood us. Let’s demonstrate this with a very simple example. Let’s say you are eating broccoli soup. Your spouse walks into the kitchen and asks: “How is your cauliflower soup?” Somehow their brain is confused momentarily, and they are sure that what they said is ‘broccoli’. In their own model of reality, they think they said ‘broccoli’. The color of the soup is very green and it is obvious that it is broccoli soup. They are sure that is what they said. You respond: “My CAULIFLOWER soup?” – putting an accent on the word they just said. Conflict aborted by simply repeating what they just said and telling them that it happens to you as well and they are perfectly okay. This is a long-term technique. It is designed to gain the confidence of the person you are interacting with so that eventually, you will be able to influence them and maybe sway them to change their opinion. Forget about the truth, the truth or the ‘right thing’ doesn’t have to be defended. Repeat what they just said. With their own words. Repeat the process until they have said everything they wanted to say or ask you a question or ask your opinion. Before you answer or tell your part, recap what they just said and ask them if you understood them and if you got it right? Ask them if there is anything else they have not mentioned yet that would enlighten your own perspective, before you can tell them what you think. Listen for their last piece on the subject matter. Sometimes, you won’t even get to say what you think. Especially with teenagers, children or people in higher authority than yours. Sometimes for lack of time or lack of concern or interest from the other party. As mentioned, it may take a while before your opinion is asked for or heard. Be patient, you will get your turn. This technique is designed to create long-term relationships with people around you. let’s face it, if you are in the presence of someone you will never see again in your life, you don’t really care whether or not you can influence them. If you are experiencing challenging relationships, it is more likely with someone in your close environment, maybe a co-worker, a boss, a subordinate, a family member, a child, a spouse, a friend, etc. It is worth the effort. Here is an example of a brilliant teenager who wants to quit school to work full-time in a fast-food-restaurant. And there it is. After a while of repeating and telling them what they want to hear, all of a sudden, they turn back to you and ask your opinion. It may take a while, and it may take more than one conversation for them to start opening themselves to you. But ultimately, they will. Next time you are tempted to enter an argument…. remember to chose o be happy instead! Just smile and let the other tell you about their reality. Then you both win!